Find out what happens to the Erris Coven when Lexie's BFF Liz comes to town. Braden Murphy knew he was going to die. There was a twist to his family secret – one that was forced upon him from the time he was a child. For years he envisioned his final days and tried to be strong enough to leave his family. Now that it was time, he was ready to make good on a deadly promise. Except for one unexpected glitch, a raven haired beauty insisted on joining him. Liz Sanders thought her best friend’s stepfamily was weird, but she never would have guessed they were werewolves. Now Liz must travel with a secretive half-vampire in search of a lycanthropy cure. Landing in a nest full of blood thirsty vampires wasn’t on the agenda, but neither was falling in love. Braden is tempting, but Liz’s feelings for him are complicated. She wishes he would open up about his past and give her a reason to trust him. Just when Liz thinks she can let her guard down, she’s forced to confront the evil that has been stalking Braden’s past for years. Death is here and ready to destroy everything they've fought to save. I was SO happy when I finally got to find out what happened next after reading Fate Fixed forever ago. Even though this book had a bit more blood and gore in it than the first book, it was still really good. My favorite thing was definitely Liz and Braden's relationship, it had so much spark and passion, I just couldn't stop reading. I love how we got to see the POV from 2 different characters that had been briefly touched in the first book. It was such a fresh take on the same world but different views. While Liz and Braden were discovering their new feelings for each other, there were a lot of other things going on. There were a lot of twists throughout the book that really kept it interesting. I even came to like a few unexpected characters, and got a few surprises along the way. The whole book I was trying to figure out if Braden would really die the way he thought he would and who death actually was. There was so much mystery woven throughout the story, it had just the right amount of hints and details to make me think and just when I thought I figured it out, I was thrown another direction entirely. Slowly there was more and more of the mystery unraveling until the end, when everything comes out. This book was really amazing, there was just the right amount of romance, action and mystery, the way I love it. 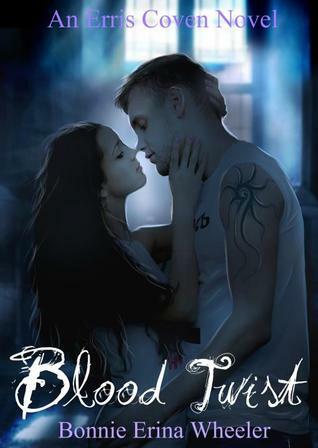 This is definitely not a book to miss for vampire and paranormal lovers!